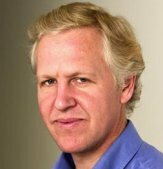 June 18 – Neil van Schalkwyk is only 37. 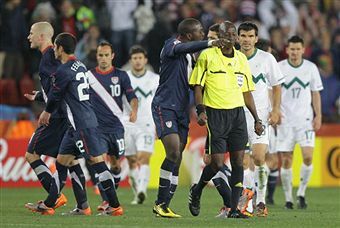 June 18 – Eventually it had to happen, a refereeing decision so outrageous you wondered how the official responsible got the gig in the first place. 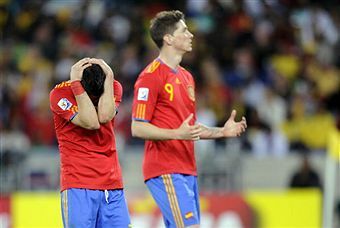 June 17 - No team in the 80 year history of the World Cup has lost their first match and gone on to lift the trophy. 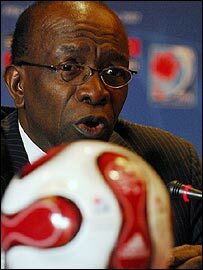 June 17 – Jack Warner (pictured) will discover today whether he has to give up his position as FIFA vice-president if he wants to remain a member of Trinidad and Tobago’s Government. June 17 – England goalkeeper Rob Green, the man responsible for the catastrophic mistake which led to United States’ equalising against England in the World Cup last Saturday (June 12), will be able overcome the error if he takes the right steps according to the Head of Performance Psychology at the English Institute of Sport (EIS) Mark Bawden. 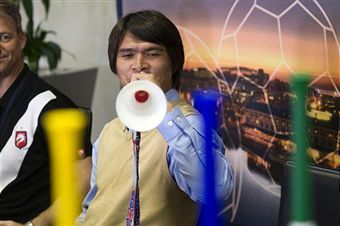 It is Brazil’s first match at the 2010 World Cup; night has fallen; it is so cold that the Official Fan Shop has sold out of blankets at 400 Rand a throw. And here I am on a corner looking for North Korea fans. June 17 – Jack Warner (pictured) will be allowed to continue as Trinidad and Tobago’s Minister of Works and Transport while serving as FIFA vice-president, the country’s Prime Minister Kamla Persad-Bissessar has announced. 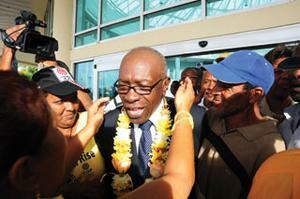 June 16 – FIFA vice-president Jack Warner (pictured) has returned from the World Cup in South Africa to Trinidad and Tobago and insisted that he has done nothing wrong despite attacks from Opposition Leader Dr Keith Rowley. June 16 – Elle Macpherson (pictured), one of the most recognisable women in the world, is pledging her support of Australia’s campaign to host the FIFA World Cup in 2022, she has announced today. 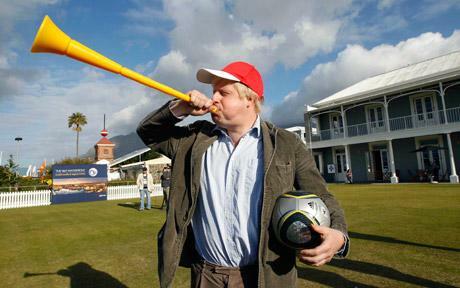 June 16 – London Mayor Boris Johnson has blown the trumpet for England’s 2018 World Cup bid after arriving in Cape Town today ahead of the match against Algeria on Friday (June 18). June 16 – Two of the alleged organisers behind the World Cup marketing stunt which cost ITV pundit Robbie Earle his job and led to him being axed as an ambassador for England’s bid to host the 2018 World Cup have been arrested in South Africa. June 16 - French telecommunications company Orange has renewed its deal to be the main sponsor of Poland’s national team until 2014, a deal which covers Euro 2012 which they are co-hosting with Ukraine. 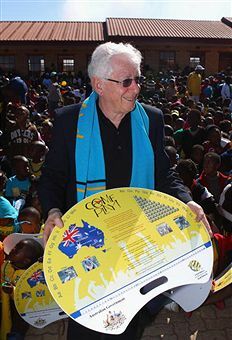 June 15 – Australia pulled out of the race for the 2018 World Cup at the right time, according to Frank Lowy, chairman of Football Federation Australia (FFA). June 15 – Russia had two volumes of its bid book for the 2018 World Cup stolen during a special Expo held attended by Romam Abramovich and David Beckham in Johannesburg last week, they have revealed. 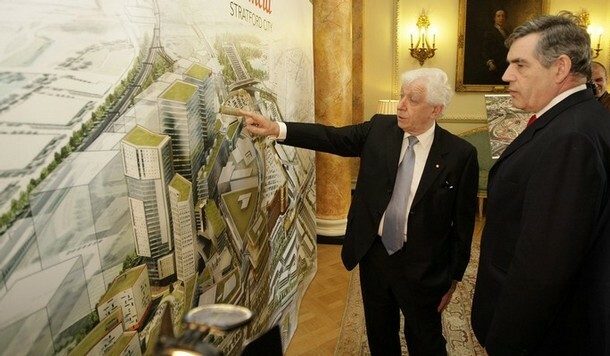 June 15 – Frank Lowy (pictured left) would have no problem with West Ham United setting up shop in the Olympic stadium – provided supporters do not invade parking spaces intended for shoppers at the new Westfield Stratford mall.